Never mind boring old timelines, South Africa’s history is better measured in melodies. From ghoema beats to boeremusiek, kwela to Cape jazz, a colourful array of different genres have harmonised to form the backing track to our past, and so it’s only fitting that when we talk about the country’s heritage, we recount the story in sounds. 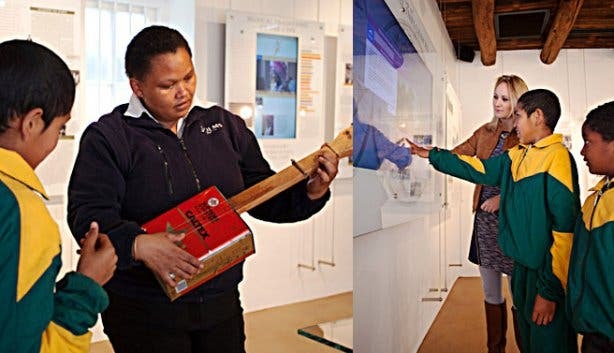 This is precisely what the new Music van de Caab Museum at the Franschhoek-based Solms-Delta wine farm – a property heavily invested in honouring our land’s legacy – sets out to do. 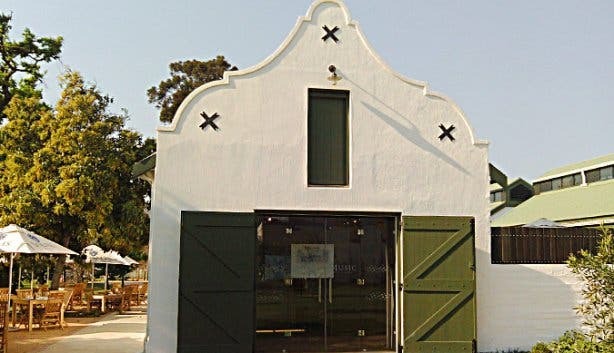 Opened in early October 2014 in the historic estate’s original stables, the centre, which happens to be a world first, aims to document the various musical traditions of the Cape region, to explore the way in which songs have been used to empower and unite divided groups and to look at how local music has become an integral part of many individuals’ sense of ‘South African-ness’. “It’s about honouring our roots, but it’s also about exploring our identity in new ways,” sums up Tracey Randle, the farm’s resident historian and the principal researcher behind the Music van de Caab project. And for Tracey and her team, the exploration required to get a hold on how harmonies have come to define who we are took seven long (but fulfilling) years and followed a rather roundabout route. Though the project began with formal academic research, it evolved into something much broader and deeper when the crew began interviewing rural Boland musicians and other amateur music-makers from the farm and surrounding areas. This process soon gave birth to an uplifting community music programme that injected the estate with melodic energy and aimed to use song and dance as a tool to create a sense of togetherness amongst Winelands labourers and residents and to bring about necessary social change (Solms-Delta actually won the Cape Winelands Social Inclusion Award for its effort to safeguard the cultural welfare of its workforce). The museum then grew organically out of this project as a way to bring it all together, and because it’s founded on human stories and real experiences, not merely archival investigations, the final product is rich with substance and colour. Though it spans a very small space, the museum contains a wealth of fascinating information, captured and presented via a series of touchscreen displays. 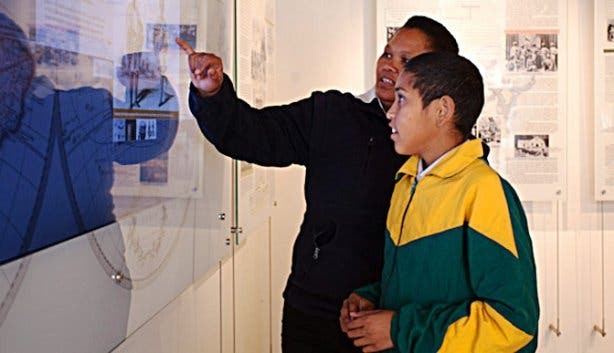 Boasting graphics, text, audio clips and videos, these interactive panels cover topics like how the human brain is affected by music, how melodies acted as a powerful source of hope during times of slavery, how colonisation shaped Cape sounds and how music helped to break down boundaries in the apartheid era. 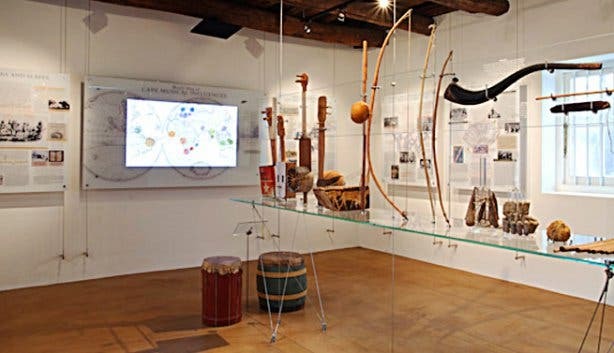 Not to mention, one section of the exhibition space also houses functional replicas of 15 indigenous instruments, mainly hailing from San and Khoi times. The display – it’s a treat for school groups –includes everything from reed flutes and mouth bows to ramkies (oil can guitars), ankle rattles and ghoema drums made from old wine barrels, and guests can pick up the contraptions and try to play them themselves or watch demonstrations by the museum guides. Speaking of the guides, they all live and work at Solms-Delta and are members of one of the wine farm’s several bands and choirs. Inevitably, they’re also all full of stories about their own musical experiences and those of the generations that came before them, so they add yet another rich personal dimension to the centre. Nonetheless, as Tracey emphasises, even if you spent hours chatting to the museum chaperons and poring over the various screens, you’d still never manage to take in all the nuances of what makes our musical heritage so special. At the very least though, you’d be a little more in tune with the high and low notes of South Africa’s past. 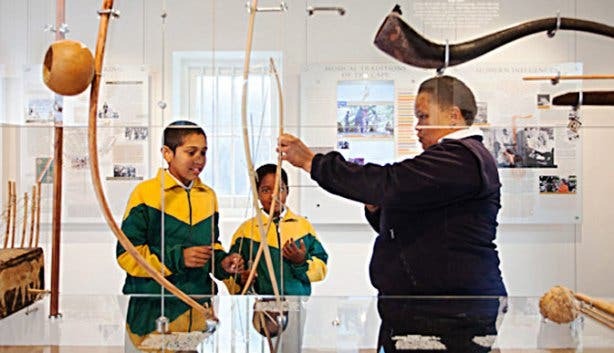 Tip: While you’re at Solms-Delta estate, you can also visit the Museum van de Caab, which documents the social history of the age-old farm, and Fyndraai Restaurant, which serves up cuisine that reflects the Cape’s culinary heritage. The Bill: Entry to the Music van de Caab museum is FREE; however, should you wish to book a dedicated guided tour of the exhibition space, you will be charged R50p/p (this price includes wine tasting). If you’re a fan of good melodies, you might want to consider a visit to one of these top places to listen to live music in Cape Town.